Alden Ehrenreich as Han Solo. Solo is an extremely fine Star Wars movie that just so happens to not have made nearly as much money as Disney initially expected it to. For some reason, everyone seems to think that this is a big deal. I regret to inform everyone that it is not. A bit of basic math makes it obvious that Solo, which had a budget of somewhere between $250-300 million (before marketing), didn’t break even at the box office during opening weekend. The film managed to rake in $168 million internationally over Memorial Day weekend. There’s any number of reasons why Solo underperformed, like the fact that the marketing was done in a much smaller time frame than usual and the very real idea that audiences are developing Star Wars fatigue. But there’s this strange narrative that’s developing within certain corners of the Star Wars fandom that Solo’s underperformance is somehow directly related to dissatisfied fans who did not feel well-enough catered to by The Force Awakens, Rogue One, and The Last Jedi. If you’re the sort of person who has issues with Rey’s parentage or Leia’s ability to use the Force, then there’s a very good chance that you’re into this idea of karmic, box office retribution. That’s... fine (if a bit self-aggrandizing), but the reality of the situation is that Disney’s probably not going to change much about its Star Wars plans going forward as a result of Solo’s box office performance. Why? Because as exhausting as it may be for some, we’re living in the age of the annual (or more) Star Wars film because the public has an inexplicably inexhaustible appetite for the franchise. 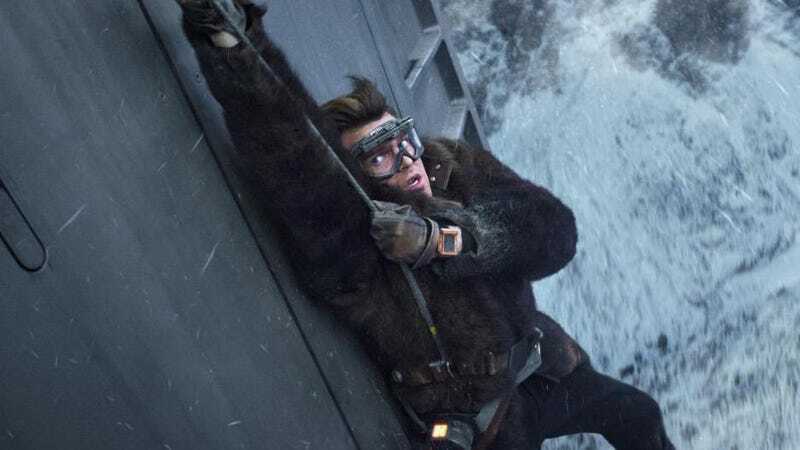 Obviously, the studio has to be looking at Solo and trying to figure out what more it could have done to better promote the film, but if you think that this hiccup is the beginning of Star Wars’ demise... well, you must be new here.